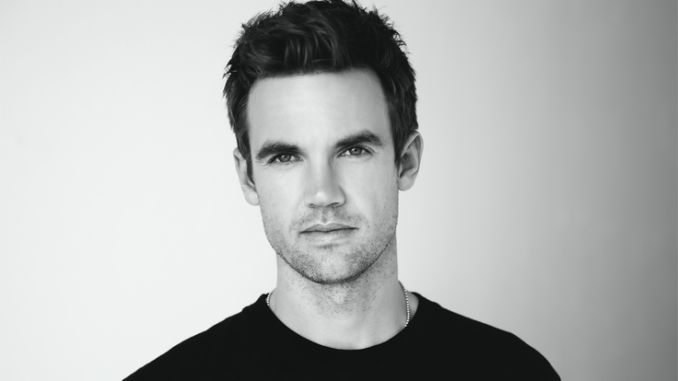 From his performance as Elvis in ‘Walk The Line’, Chris Keller in the hugely popular American drama ‘One Tree Hill’ and Charlie in Steven Spielberg’s sci-fi TV drama ‘Extant’, Tyler Hilton has established himself as an incredibly talented and versatile actor and musician with a worldwide fanbase. A chance encounter with Los Angeles radio personalities Mark and Brian from KLOS when Tyler was fifteen led to multiple appearances on their radio show, live concert dates with the duo, and national exposure. His first album soon followed, released independently, it led to major label interest with Tyler eventually signing to Maverick/ Warner Records. His album ‘The Tracks of Tyler Hilton’ produced two Billboard Top 40 charting singles, and a tour to promote the album led to Tyler being cast as his childhood hero Elvis Presley in the Johnny Cash biopic ‘Walk the Line’. The film’s soundtrack, which saw Tyler working with T-Bone Burnett on the soundtrack, earned him a gold record. An opportunity to sing on TV’s ‘One Tree Hill’, a breeding ground for new musical talent, led to an extended run in the series, several appearances on MTV’s ‘TRL’ with the cast and a national tour with Gavin DeGraw and Michelle Branch who also sang on the show. Taylor Swift declared she was a fan of Tyler’s music and invited him to star in her music video ‘Tear Drops on My Guitar’ which became a huge crossover hit. The two appeared live together several times with Tyler also appearing via an interactive video on her stadium tour. A role in the independent comedy ‘Charlie Bartlett’ followed, which saw Tyler working with Robert Downey Jr. and the late Anton Yelchin. It was on this set that Tyler met his wife, Canadian actress Megan Park. Following a move to Nashville, Tyler’s new material explored his family’s Country music roots. He teamed up with several highly regarded producers including Dan Huff, Nathan Chapman, Matt Serletic, and John Alagia, however Warner Brothers Records were plagued by roster upheavals, eventually leading to Tyler’s departure from the label. The tracks didn’t see the light of day although one of these unreleased songs made their way to Joe Cocker who recorded it on his final album. Having made the decision to start his own label, Hooptie Tune Records, Tyler released ‘Forget the Storm’ the following year. It became an international success leading to several European tours and a fervent new fan base. His follow up, the mellow Folk-Country album ‘Indian Summer’ was recorded live in a studio accompanied by a bluegrass band which included his uncle, Tommy Hilton, on guitar. While recording, Tyler landed a role in Halle Berry’s ‘Extant’ on CBS and continued to appear in the show over the course of its two season run, as well as touring and filming the holiday movie ‘Christmas on the Bayou’ with Randy Travis, Ed Asner, and ‘One Tree Hill’ alum, Hilarie Burton. The movie also provided a platform for Tyler’s single ‘One Foot in the Bayou’. Tyler’s last album ‘Indian Summer’ is the most mature release of his decade-long career so far. With its carefully crafted arrangements and considered song structures, the record is an intimate piece of Americana that sees Tyler starting a new chapter in his creative journey. A compelling blend of folk, country and pop, Tyler’s growth as an artist shines through in tracks like ‘California’ and ‘Times’ A Wastin’. The album, handpicked as a feature in the iTunes singer/songwriter category, is also available to stream on Tyler’s Soundcloud.